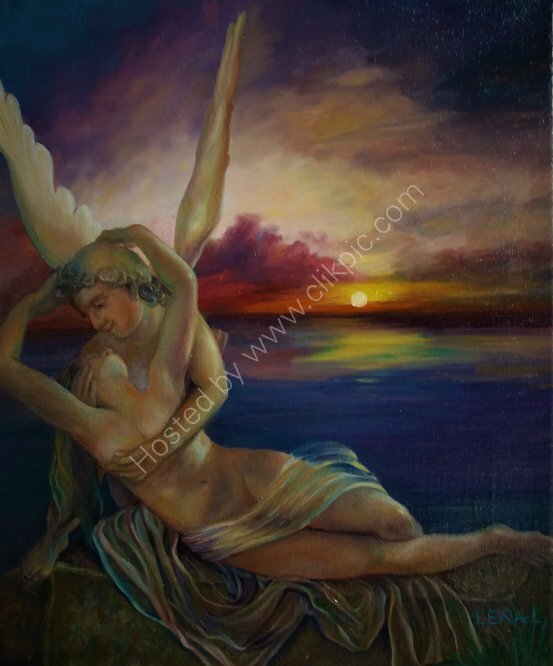 Inspired by Antonia Canova’s sculpture of Psyche Revived by Cupid’s Kiss (1787), the colourful intensity of the ethereal background magnifies the delicate sensuality of the painter’s interpretation of the human form. © Dr Lena Lim Fine Art Gallery. All rights reserved.